A turtle with a GPS tracker attached to its shell has accidentally stumbled across a teenager’s secret horde of cannabis plants. According to a report by local US news service WUSA, “Jimmy the Turtle” was being tracked by GPS for “research purposes” in Rock Creek Park, Washington when it wandered into a remote section of the park. A ranger in charge of the turtle went to retrieve the animal and discovered that the animal had walked – albeit slowly – into the middle of a covert marijuana field. Local police later arrested 19-year-old Isiah Johnson of nearby Chevy Chase on suspicion of growing ten cannabis plants. 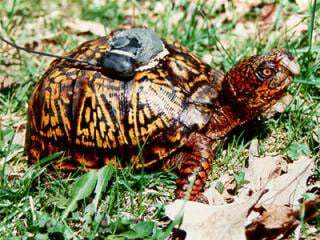 "He felt like he had a layer of security, but he probably never counted on a turtle with a tracking device leading us to that location and finding the field,” said Sergeant Robert Lachance of the US Park Police.